The National Audit Office also reported (as noted in this Financial Times article) that a number of SOEs, including China Mobile and China Huaneng Group, violated taxation laws by giving employees “invisible benefits,” including gym memberships and life insurance, that allowed them to transfer “public resources” without paying taxes on them. Chinese citizens often have a dim view of SOEs. Some would say this is because of jealousy of the “iron rice bowl” afforded to employees, but it is also in part because of flagrant spending: Beijing News (reported in this Financial Times piece) listed 10 SOEs that spent 2.9 trillion yuan on receptions in 2012, with China Railway Construction Corporation heading the list, spending 837 million, or 10 percent of its net profits. The managers of SOEs are rewarded for prestige projects, not necessarily profit, and leaders of SOEs are appointed by the central government, largely on a political basis, rather than because of their business experience. SOEs distort the Chinese economy in a number of important ways. First, as noted above, they guzzle much of the available credit, starving smaller enterprises, and their subsidies make it difficult for other companies to compete. They also often don’t pay market price for resources, making them more likely to use those resources inefficiently, with implications for both the economy and environment. Additionally, a low level of accountability encourages a cavalier approach to efficiency in the use of resources (including employees) and end profits. 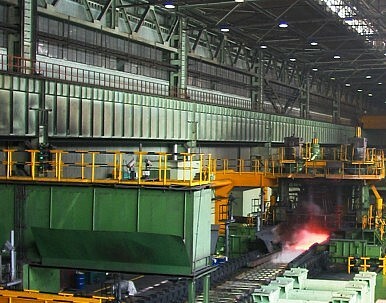 Overcapacity can also be an issue, with industries producing product without considering the economy’s need for the item: this is particularly an issue in the steel and aluminum industries. And from Economics 101: those in a monopoly position are able to charge more for their product. That puts pressure on Chinese consumers at a time when the government is trying to promote domestic consumption. On a more general note, SOEs are happy with the status quo, and are powerful opponents of economic reforms, slowing the action needed to move China’s economy forward. Foreign politicians claim that the privileges afforded to SOEs make their investments and acquisitions overseas unfair. And SOEs have been quite busy expanding their international portfolios: in 2011, China invested $60 billion abroad, 80% of that coming from SOEs, according to Xinhua. The state-run nature of these firms exacerbates foreign concerns about Chinese government involvement in companies on their own soil, particularly when these companies are potentially related to national security concerns, such as energy. An editorial in China’s state-run China.org.cn, “China’s SOE Monopoly Fallacy” argued that even within monopoly industries, such as oil and gas, there is competition: among state-run firms such as Sinopec, CNPC, and CNOOC. SOEs have not been solely deleterious to the Chinese economy; positive ramifications have included shepherding key industries and giving China the building blocks for its rapid development. Keith Bradsher of The New York Times cites a political adviser as saying “public support for economic reform makes it impossible for the incoming team simply to do nothing” but that reforms may be limited to “the privatization of some state-owned manufacturers, like steel mills, which do not have monopolies and are plagued by problems like overcapacity, ferocious competition and heavy financial losses.” Industries such as “telecommunications, banking, health care and electricity distribution” will most likely not be targeted for reform. There have been some concrete steps toward reform: The Financial Times notes that there have been some openings for private investment in energy and finance, including “blocks for shale-gas exploration,” and that a pilot project in 2012 allowed for private groups to form lending institutions in Wenzhou. Even these modest steps are facing significant resistance, including reluctance from SOEs themselves to change, and from local governments, which are often dependent on the profits of their local SOEs. Moreover, SOEs are a major source of employment, and the government is loath to create a cohort of angry, unemployed citizens. The key will be to move reforms ahead quickly enough to mitigate economic distortions but slowly enough to avoid structural instability. Clearly, this will be a daunting but crucial task for new leaders Xi Jinping and Li Keqiang.